This time around Mulbagal area, a small town in Kolar district, approximately 110 km from Bengaluru. It was power packed divine experience. Started at 8 am in the morning from Bengaluru and reached Kurudumale at 10:15 am. There are two toll plazas. The first one is Rs.24 for for multiple journey and the other one is Rs.97/- in the Lance Highway road for multiple journey. There are some good hotels to have breakfast like Woodys and Vasudeva Adigas at the right side of the road which is approximately 60 km from Bangalore. The road is good till Mulbagal town and from Mulbagal to Kurudumale the road is not good. The drive from Hosekote to Bangalore with the beautiful corn field on the either side, the chirping sound of the birds makes you to fall in love while you drive. 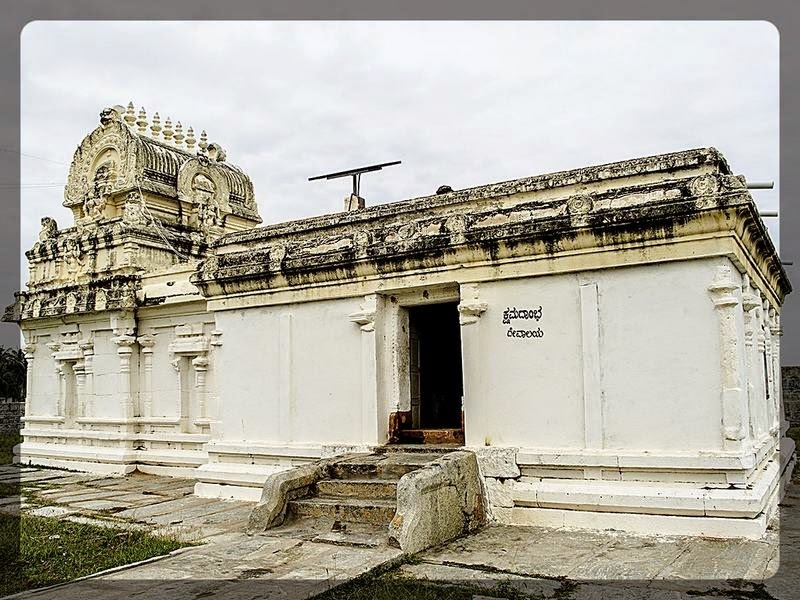 This place is famous for Maha Ganapathi and Someshwara temple. 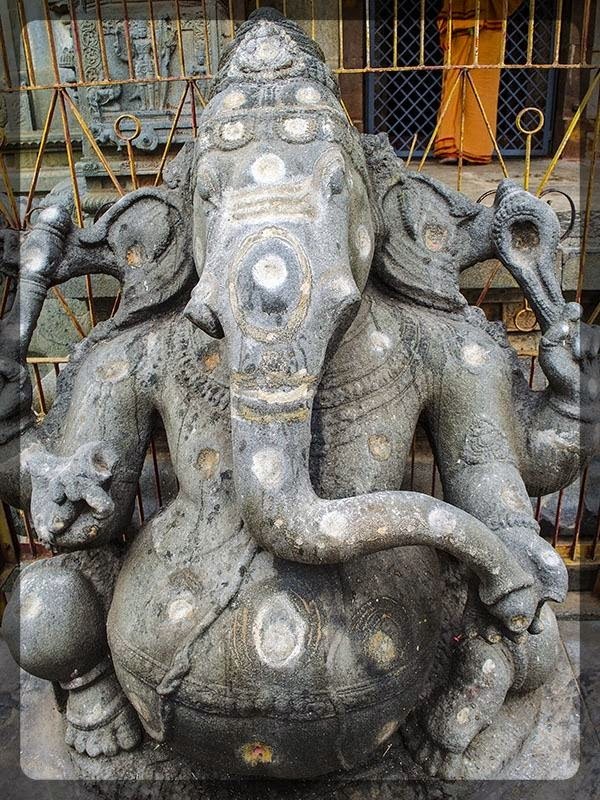 As per the local people here it is said that according to the legend the trimurthis namely Brahma, Vishnu and Maheswara came together and installed the Saligrama of Maha Ganesha for destroying the demon Tripurasura during the satya yuga. Hence this place was known as Koodumale. Koodu means together in Kannada. Over the period of time the name has changed to Kurudumale. It is also said that in tretha yuga Lord Rama worshipped here and in the dwapara yuga Lord Krishna, Pandavas also worshipped here. 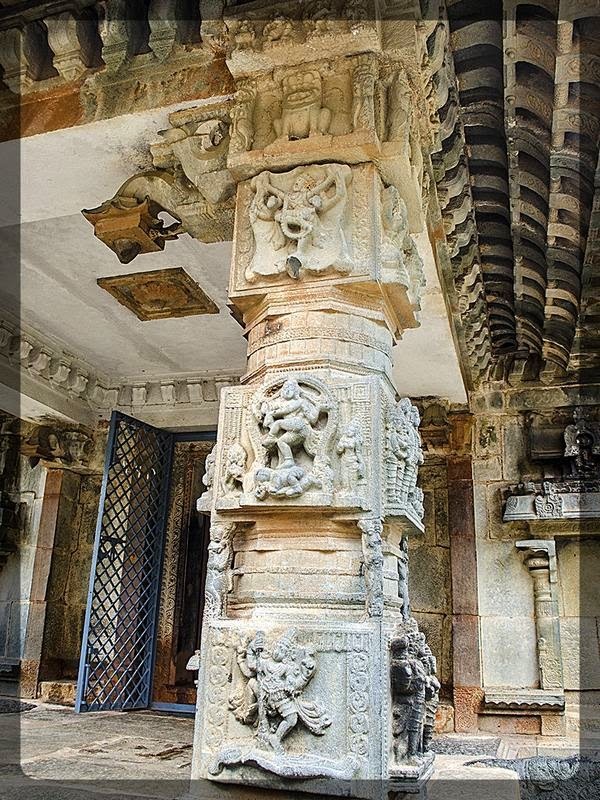 It is in kaliyuga the king Krishnadevaraya built the temple. One can imagine how much power this Saligrama Ganesha has! Sure, we felt some vibration. Temple timings: 7 am to 1 pm and 3 pm to 7 pm. 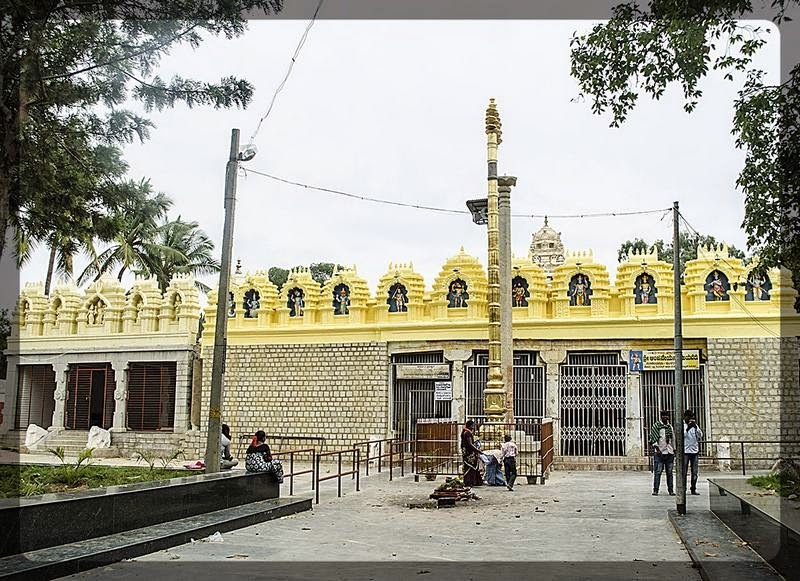 On the same street, opposite to this temple lies the Someswara temple dedicated to Lord Shiva. 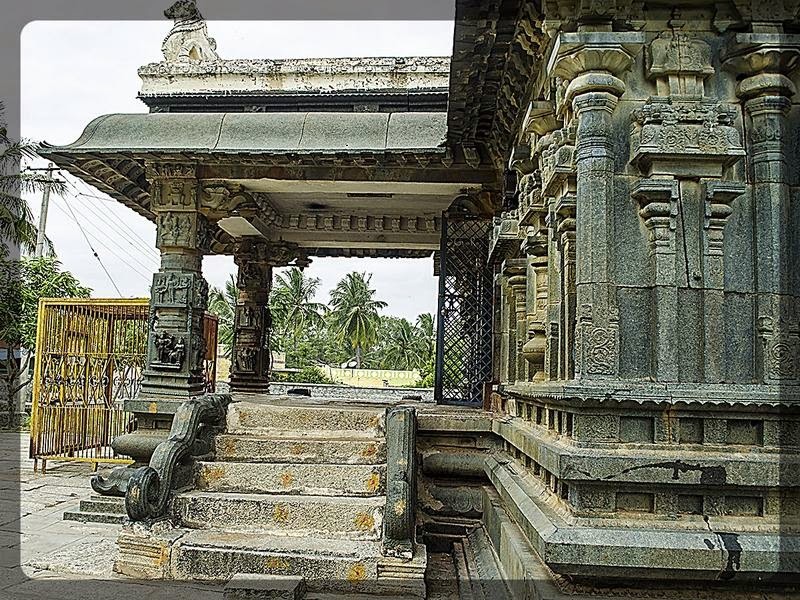 Someswara temple is the temple dedicated to Lord Shiva. Here the Lingeswara is gracing the devotees. 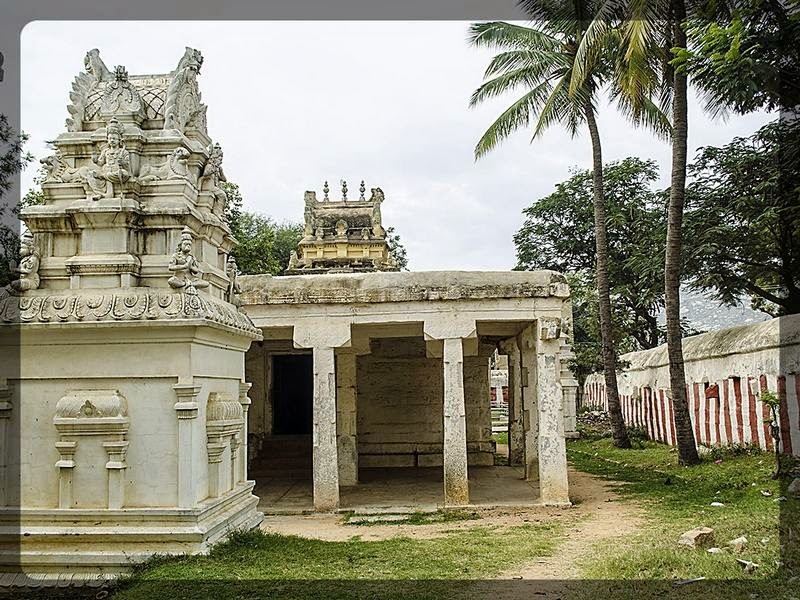 The temple was built by the duo father and son namely Amarashilpi Jakanachari and his son Dakanachari during the period of Chola Dynasty. 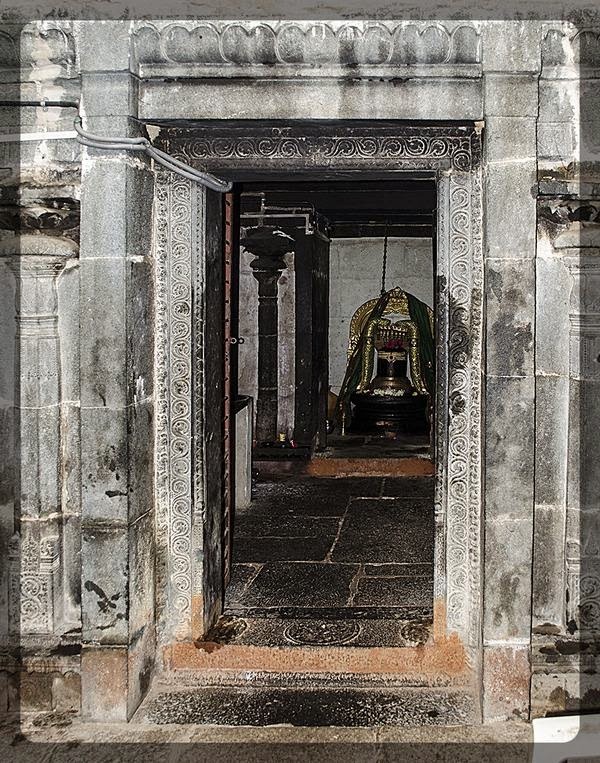 This is older than the Maha Ganapathi temple. It is said that when Jakanachari had gone out for few days, his son who was a small boy came in search of his father, saw the unfinished temple and completed it in three days and nights. One can easily differentiate the temple built by the father and son duo. 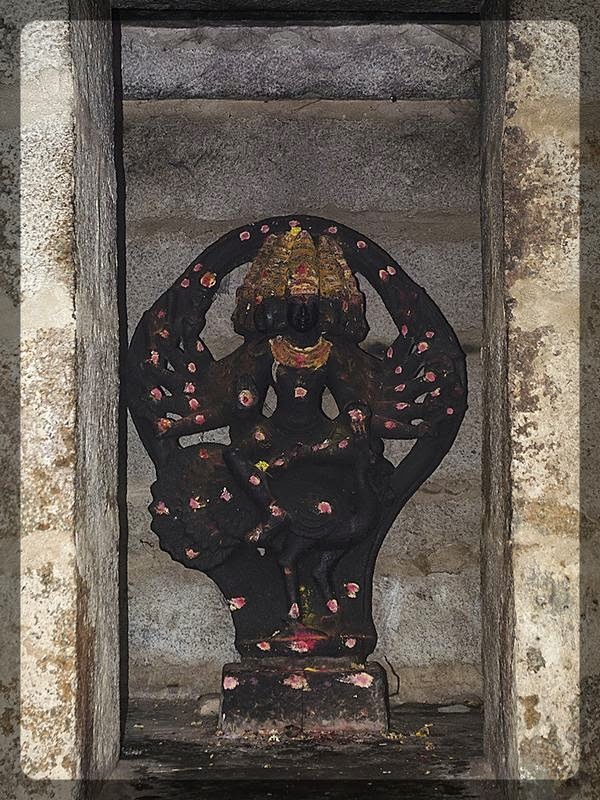 This Shivalinga was installed by Koundanya Maharshi. 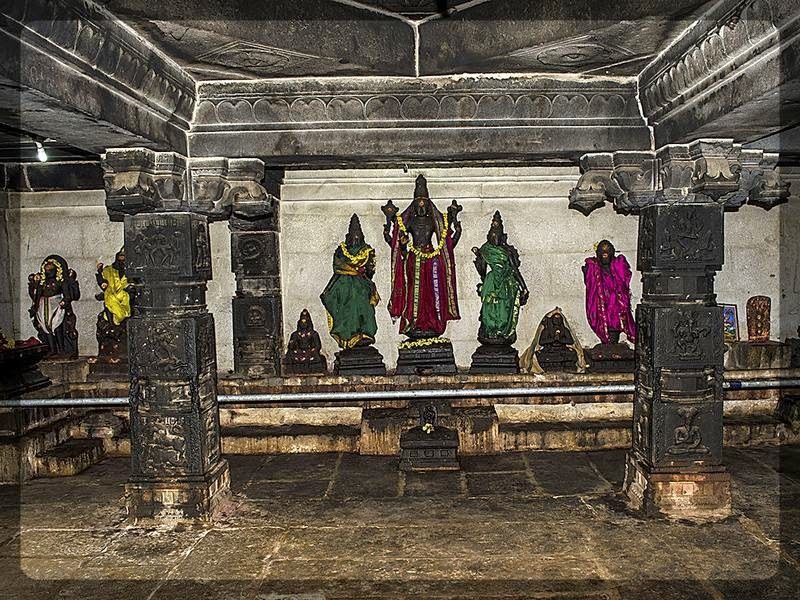 The other deities are Belur Channeskeshava with Bhoodevi and Sridevi, Dakshina Murthy and Kalabhairavar along with Lingam. The temple built by son is where Shamadaambaal is gracing her devotees. Shamey means forgiving in Kannada. The Goddess has forgiven even the fierce demon. Hence the name Shamadaambaal. Temple timing: 8 am to 1 pm and 3 pm to 7 pm. Purchased some vegetables in the Mulbagal Bazaar and headed to Veera Anjaneya swamy temple. 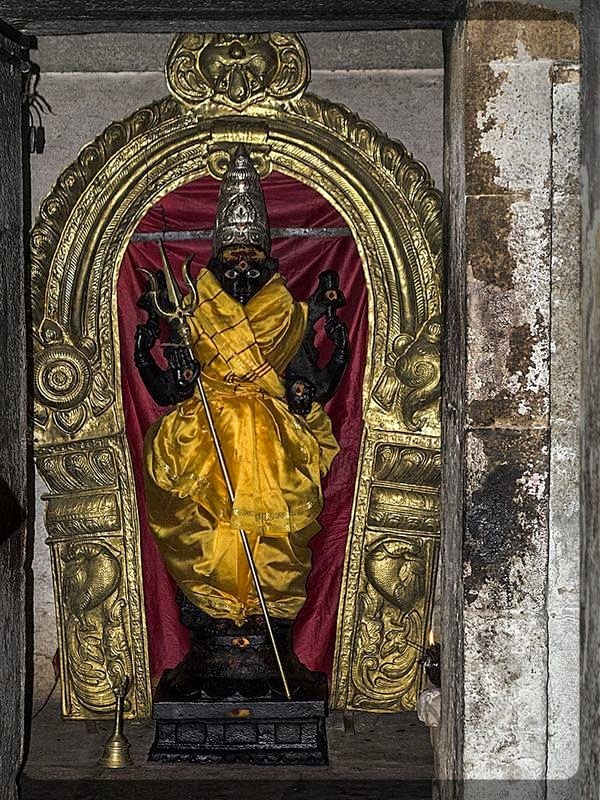 It is said that the Lord Anjaneya idol was installed by Pandavas dated back to approx. 5300 years ago. And it is said that Arjuna had the Veera Anjaneya symbol in his flag. 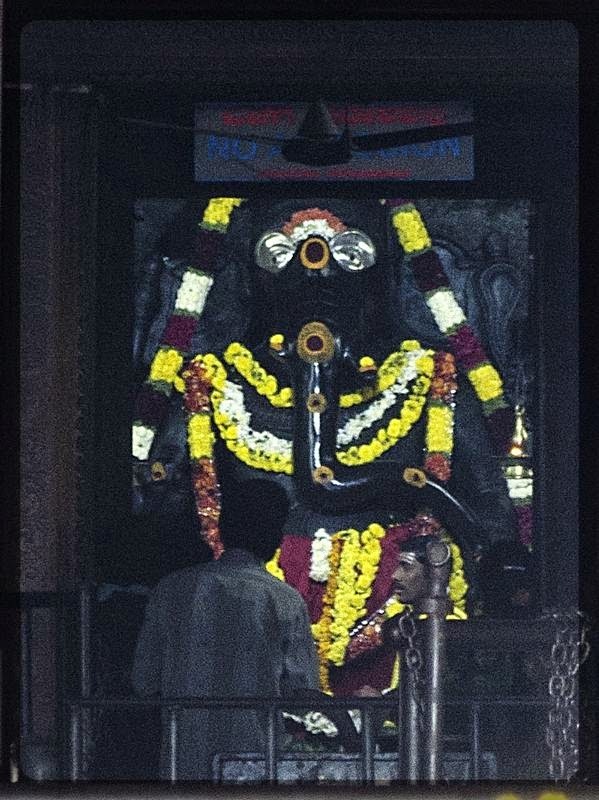 Inside the temple premises lies Lord Balaji. 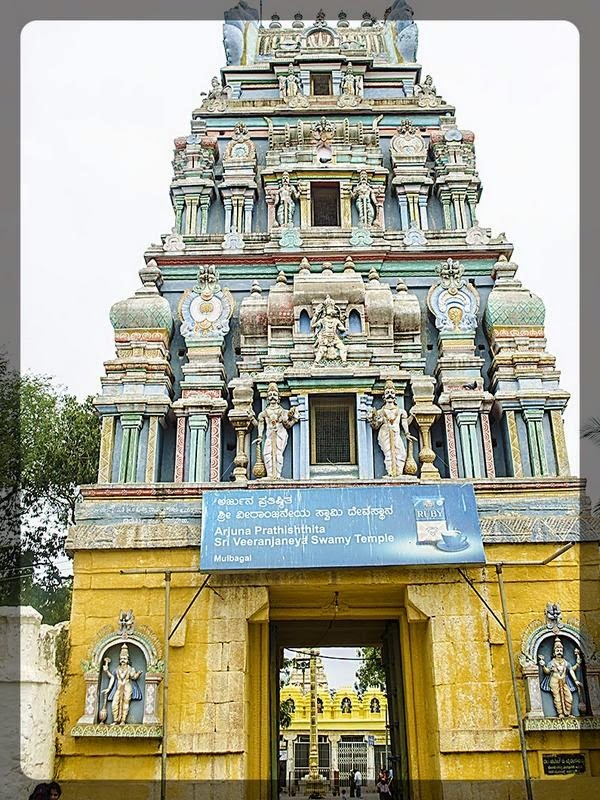 This temple is situated near Mulbagal bus stand. 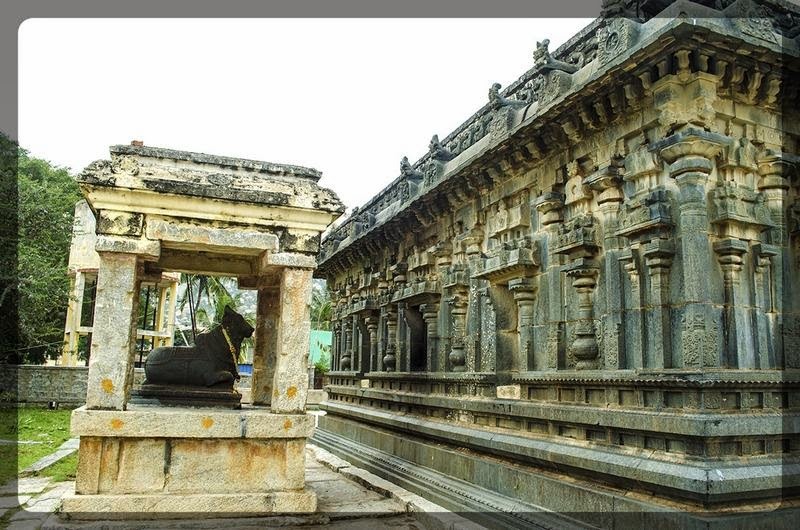 When searched in the Google map, it gives the location of Panchamukhi Anjaneya which is near Mulbagal Bazaar. We had the darshan of Pallikonda Ranganathan Swamy Perumal (Sleeping posture) situated outside this Anjaneya temple within the complex. Rest room facilities are available outside this temple compound. Avani: Continued in our next post.